The AANC-PAC needs you to help shape government in North Carolina! 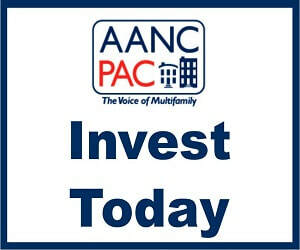 ​If the issues above are important to you and your business, consider contributing to the AANC-PAC! By taking a proactive role in North Carolina government, we can help shape the legislature and protect our interests as multifamily professionals. ​Become part of the solution - donate to AANC-PAC! Thank you to the 2019 AANC-PAC Supporters!